Street art comes in many shapes and sizes and one of its most popular forms is 3D street art. It is considered as one of the most liberal forms of street art, as artists most often paint directly on the street, sidewalks and walking surfaces. 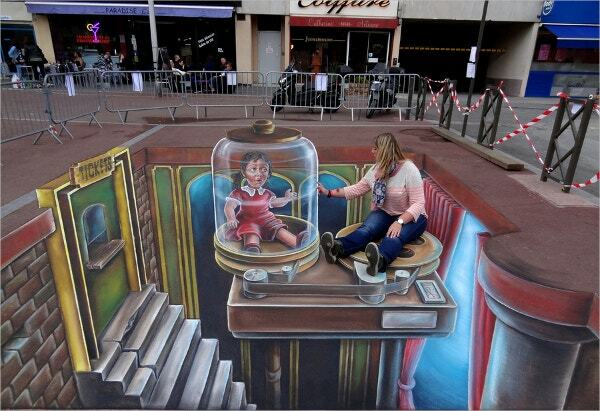 3D street art is a two-dimensional artwork drawn on the street itself. It presents a three-dimensional optical illusion if one looks at it from a certain perspective. You can also see 3D Art Work Design. The biggest advantage of using 3D street art for your company’s advertising or public relations campaign is, it attracts free media coverage. 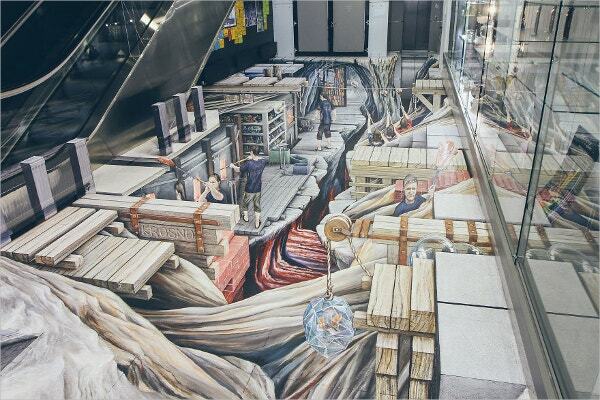 Newspapers and TV channels have broadcasted many such 3D street art campaigns over the years. 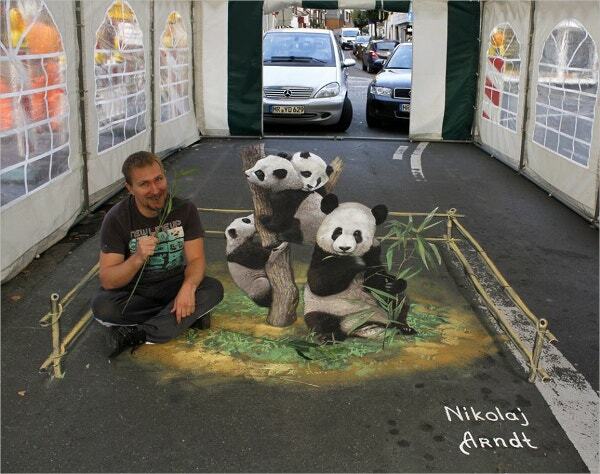 Nikolaj Arndt is a Russian street artist and has created some amazing 3D street arts over the years. Here, in this painting, he has painted a three-dimensional picture of pandas sitting on the floor. The art piece looks very realistic and gives the viewers an idea about how pandas live, from a very close quarter. 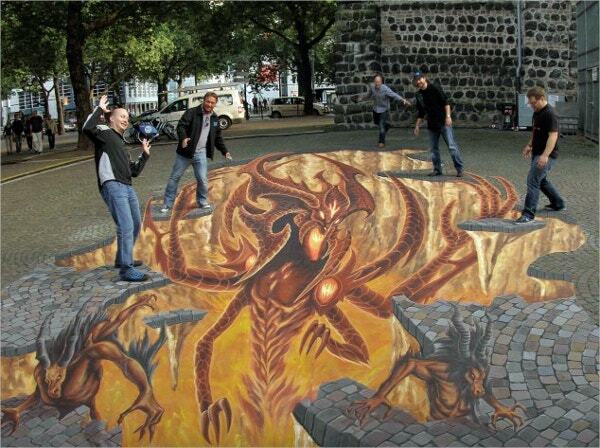 3D street painters often imagine about worlds that might be hidden under the gray clothing of the streets. Here in this painting, you can see such an awesome street art wherein the painter has taken the process of imagination to another level. Viewers can see an image of an aircraft trying to come out in the open from underneath the ground. 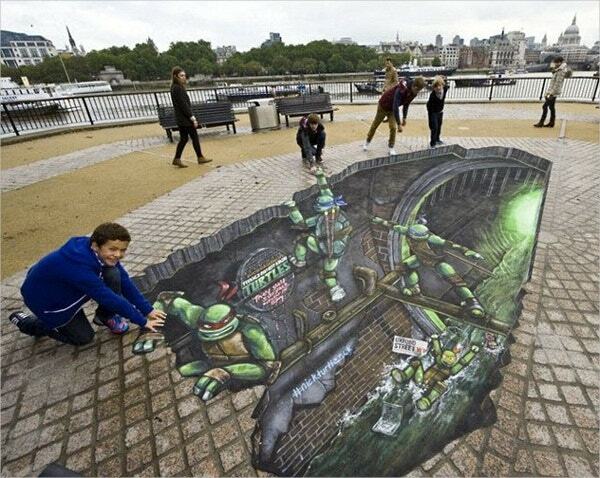 This amazing 3D street art was made to promote the release of the all-new Teenage Mutant Ninja Turtles animated TV series. In this fascinating art piece, the artist has shown some crime-fighting scenes wherein Ninja Turtles are trying to crawl their way out to the ground up above. 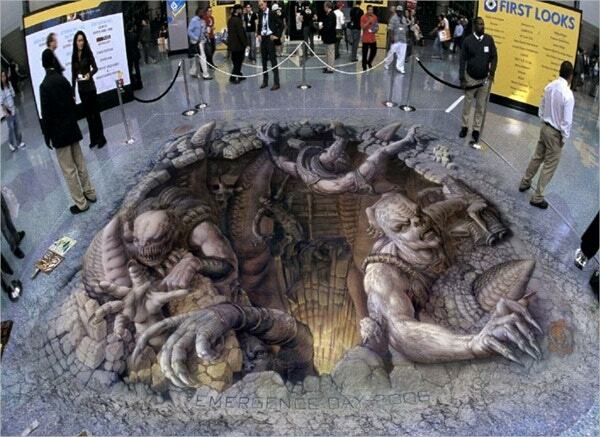 Many top-notch companies use 3D street art to promote their products. 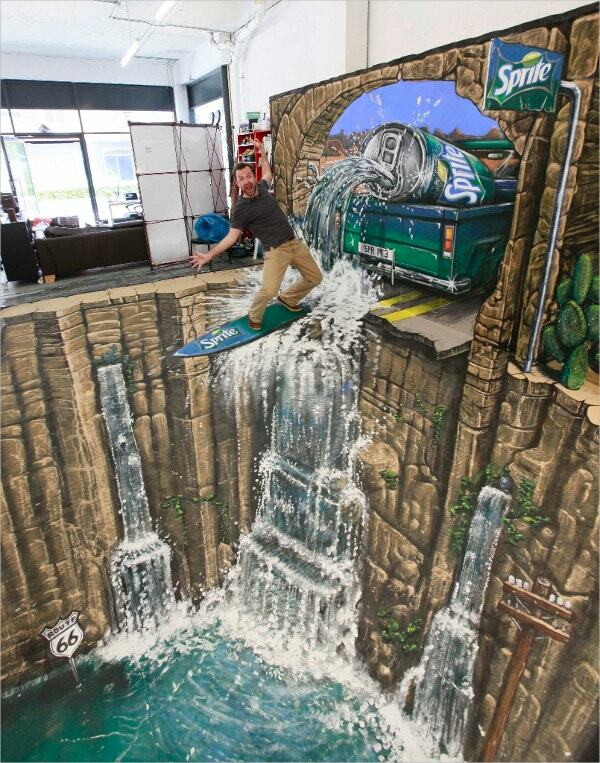 Here in this awe-inspiring art piece, you can see a man surfing a wave of sprite over an amazing 3D cavern-drawn on the floor of an office building. You can also see 3D Art Tattoo Design. 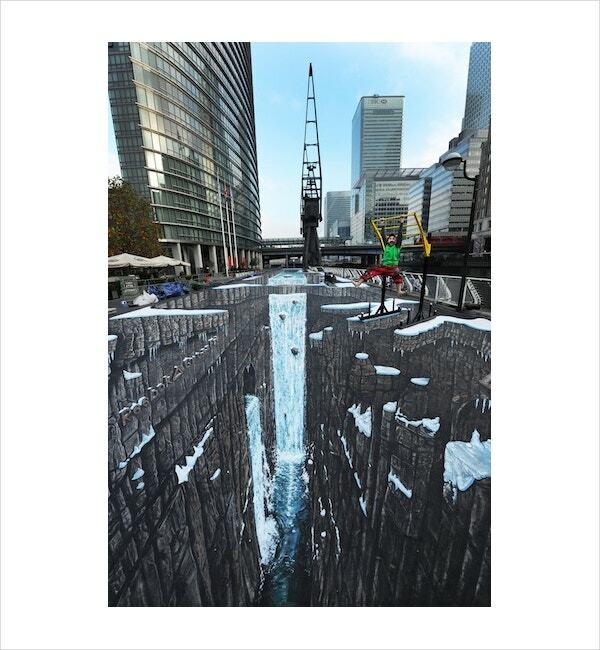 3D street art is fast becoming a mainstream medium for brands to get their message across to customers. Various brands also use this platform to announce specific events related to the products and services they offer. 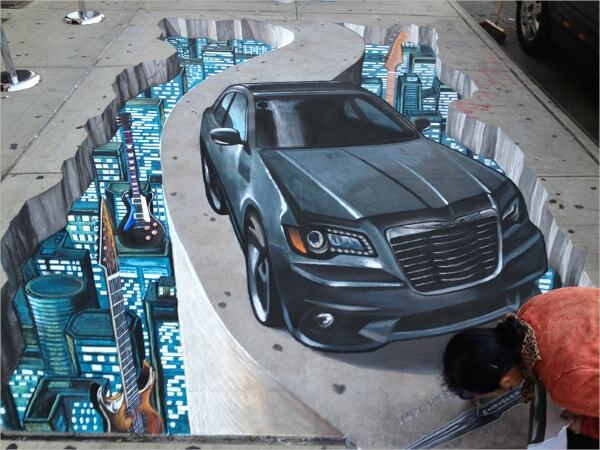 In this 3D street art, we can see a beautifully drawn picture of a newly launched car. Kids are very creative in nature and art is something that captures their imagination unlike any other. 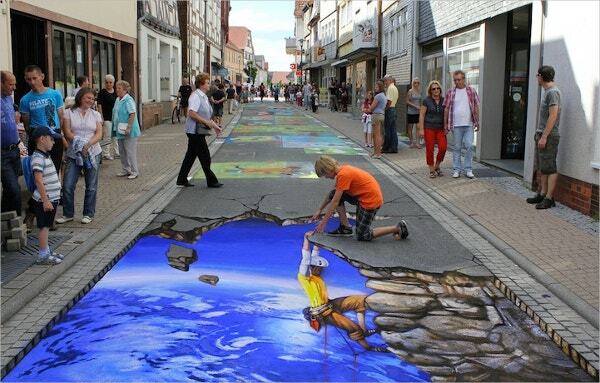 Many 3D street painters have painted numerous artworks on kids. In the picture above, you can see a picture of a small kid being confined inside a jar and the expression on the kid’s face, gives the artwork a fascinating look. 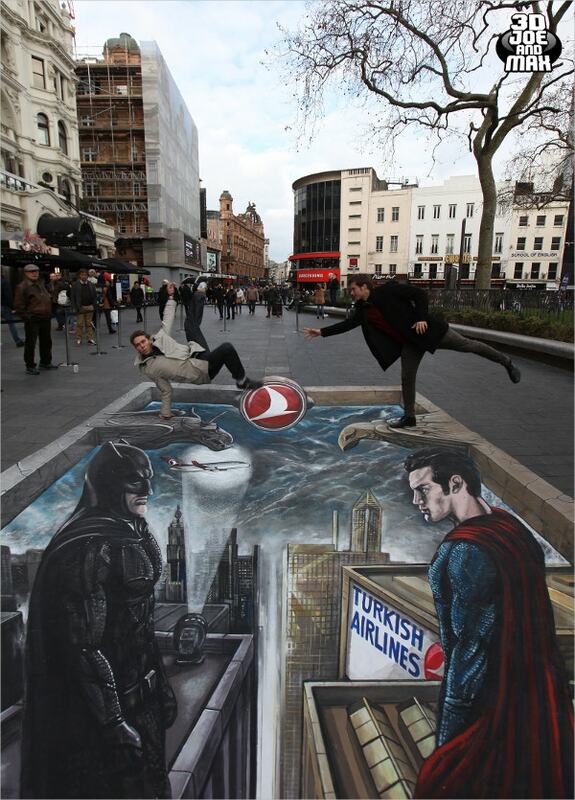 Batman Vs Superman 3D street art was made to promote the Turkish Airlines. Batman and Superman, both are legends in their own right and this street art showcases them gazing fiercely at each other. 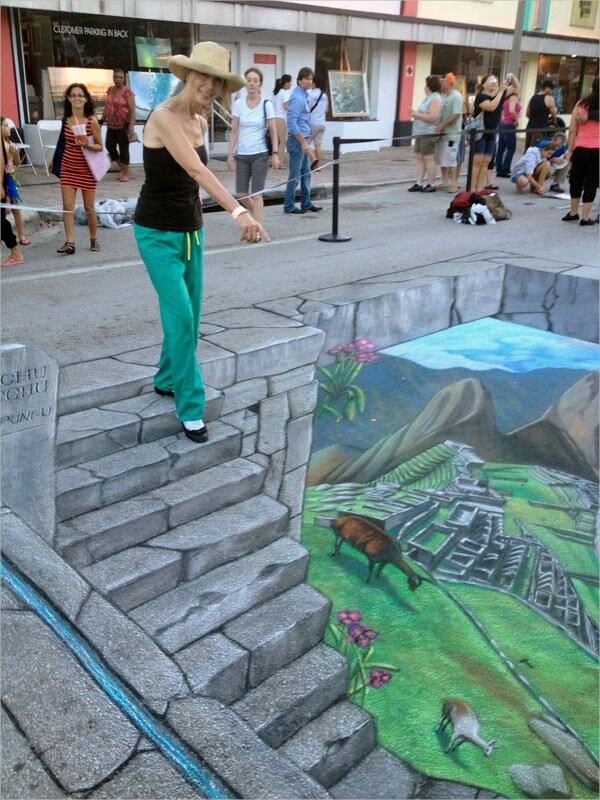 This 3D artwork is a classified example of promoting a brand through 3D street art. 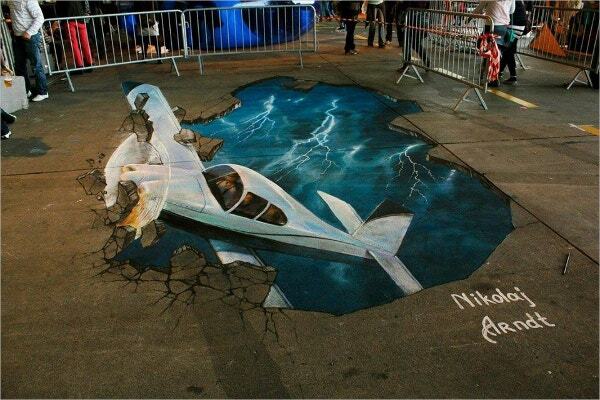 3D street artists mostly use chalk to carve out impressive pieces of 3D street arts. In the picture above, the painter has used his vivid imagination to paint a beautiful painting of a picturesque location. You can see animals, hills and there are staircases drawn to reach that imaginary place. You can also see 3D Art Painting. 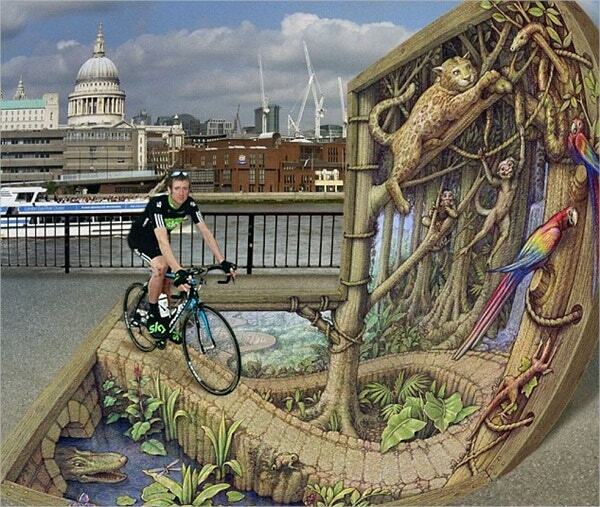 In the 21st century, 3D street art has become incredibly popular, aided by the internet’s capability to distribute photographs around the world at a lightening speed. Various brands use 3D street art as a campaign in creating an impactful and talked about advertising and looks like, this trend is going to continue for a long time. You can also see 3D Art Designs & Paintings.